I’m in the middle of updating this blog. I want it to be informative and entertaining, I want it to be somewhere people feel welcome and want to come back to. So, with this in mind, I’m asking you, the good people of the Blogosphere for some advice. What would you expect to see on a writer’s blog? News of their latest work, information on how to get hold of that work, workshops that they run, ideas about writing, tips about writing, a small sketch they once did on the edge of a napkin, or maybe a highly processed photo of a stick in the shape of a fist? Leave me a comment below and you never know I might use your idea. 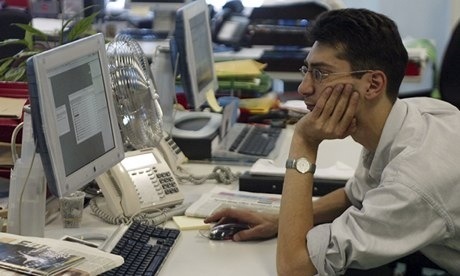 A fine piece from Henry Potter in the Guardian on how we only use 15% of our brains whilst at work. Creativity is important in the work place, especially in non creative areas. Take a couple of minutes to read it and then go and make a Christmas Tree out of staff meeting minutes. Click on the link below.